Although both Myspace and Facebook are social networking sites, there are many differences and similarities exist between two. Many people think that these two are virtually similar, but this article will help you understand the distinction. First the look and the feel between two are different. In Myspace users are able to change profile colours and can add flash applications to their page, while in Facebook no colour change can be done. Both of these sites have different applications that are useful for different purposes. 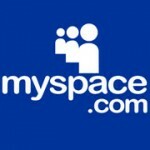 With Myspace, there are three distinct functionalities such as bulletin board, blog posts and music applications. In blog posting area you can write your own post without hosting a blog, and you can also add music to your profile. If you are a musician or someone who loves to share music files, you can use this application to get people to hear, share and download your music. With Facebook applications, there were many drastic changes made since the launch. Facebook has more than one million applications which are created by other users that Myspace does not. You can find the application that you wish to add by going to my favorites. Few fun applications include creating ‘Events’, ‘where have you been’, ‘facebook chat’, ‘funwall’ ,’superwall’ and many more. If you are a new user, it takes time for you to familiarize yourself with those applications; where to go and what to find and etc. According to data obtained from Facebook press room, 200 million people use facebook and 100 million users log on to the site at least once a day. More than 40 translations available as of May 2009 and 70% of active users are from outside of the USA. There are more than 660,000 developers and entrepreneurs create applications to FB. According to quantcast.com, Facebook attracted 87.4 million USA visitors in April 2009 while 64.3 million US users visited Myspace in the same of period. So what are your thoughts on this topic? Leave your comment. sharmila. "Difference Between Facebook and Myspace." DifferenceBetween.net. April 24, 2018 < http://www.differencebetween.net/technology/internet/difference-between-facebook-and-myspace/ >. This help me alot! THANKS :D!